the harmon squad: i am over the moon! I'm so excited to tell you that I will be going to San Francisco this summer!!! 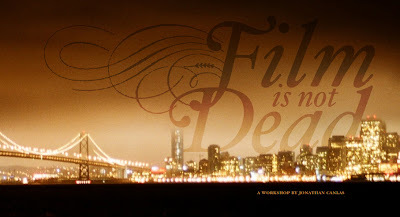 I will be attending Jonathan Canlas' (who is a FABULOUS photographer) Film is Not Dead workshop in July. That is so exciting, Jackie. YIPPIE!!!!! Can't wait to see what you coming back doing!! I have the same goal about the states! Funny! Good on ya Rob! What a good husband and daddy you are! Yay that is so awesome! How long are you going for? YAY!!!! Congratulations Jax!! This is so great! Zach and I are competing on who has visited more states. We wanted to go to all 50, but we have decided we don't really need to see them all, like maybe Nebraska can be optional. Oh, and yay for you! Think of all you can get done by yourself!